Hi, join me in the kitchen while i cook up a storm and decorate cookies. 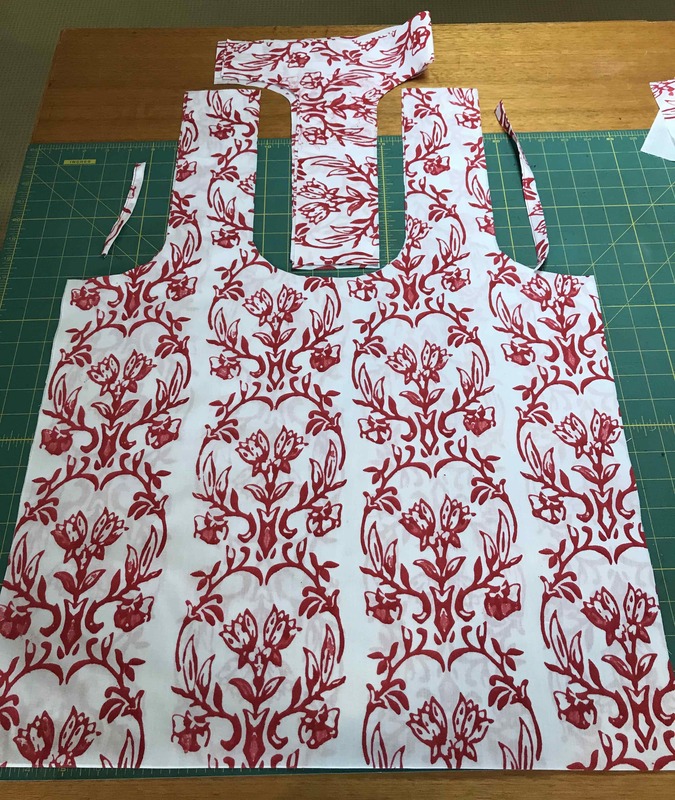 In the sewing room I can be making anything from children's heirloom clothes and making soft furnishing or even upholstering and refinishing furniture. Mother to two adult daughters and two chocolate Labrador Retrievers. Sick of picking up pins from the floor when you’ve knocked over the pin container? Whilst I have been a creator/maker/designer for the vast majority of my life, it’s only been this year that I have decided to take that a little further by designing and creating with the intent to sell. Most of the things that I design and create are presents for friends and family and I have always dismissed the calls for “you should sell that, it’s beautiful”, as nonsensical. Over the past year a couple of things happened. 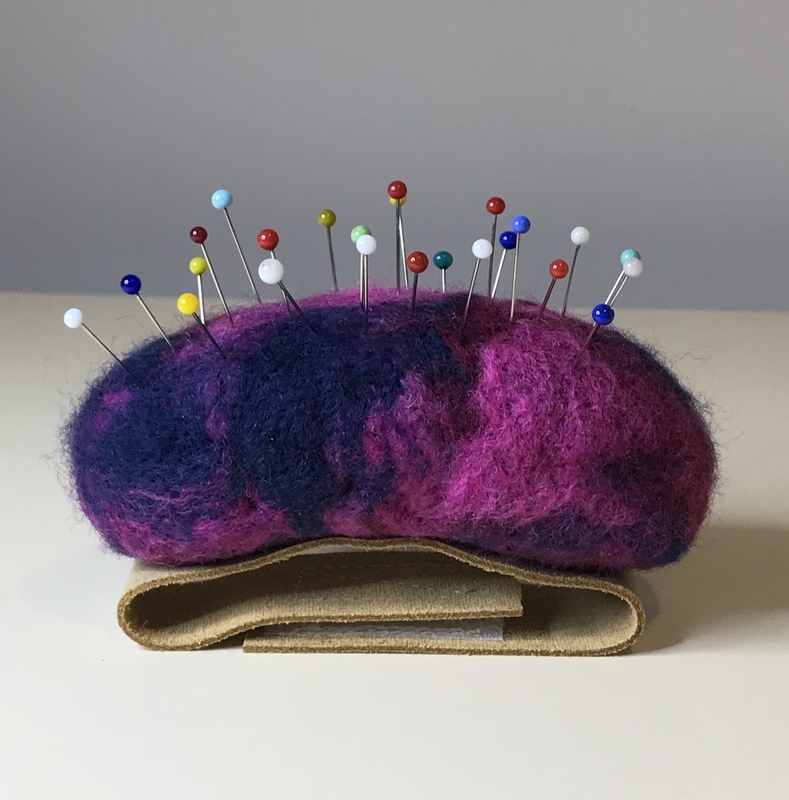 Continue reading Sick of picking up pins from the floor when you’ve knocked over the pin container? What were you doing on day one of 2018? I was cutting out the fabric I printed on New Years Eve and sewing up a tote prototype. This bag project will be two or three totes, rolled up and stored in a printed zipped pouch so it’s easy to find a shopping tote in your handbag when needed; all ready for Queensland’s plastic shopping bag ban that is being rolled out this year. 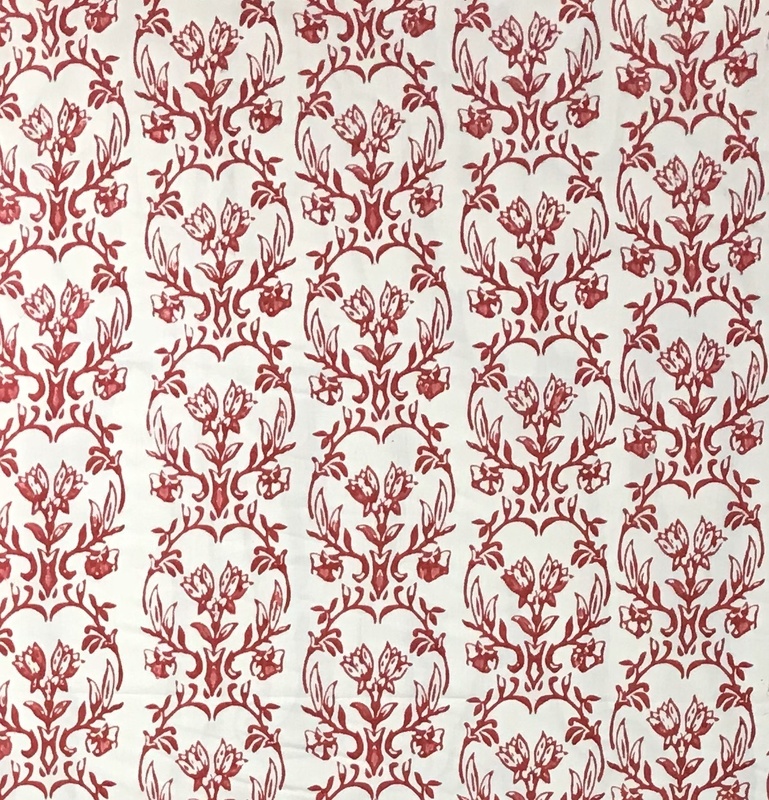 I’ve been super busy playing with printing fabric and paper; all types of printing from lino block printing, silk screen printing and printing with patterned rollers. It’s been a huge learning curve, lots of mistakes, but super fun. I have so much to share with you all about my printing journey; Christmas was filled with hand printed presents, cards and wrapping paper. I’ll share all of the projects that I’ve been working on but for today, I’m sharing my first play with patterned rollers on fabric. 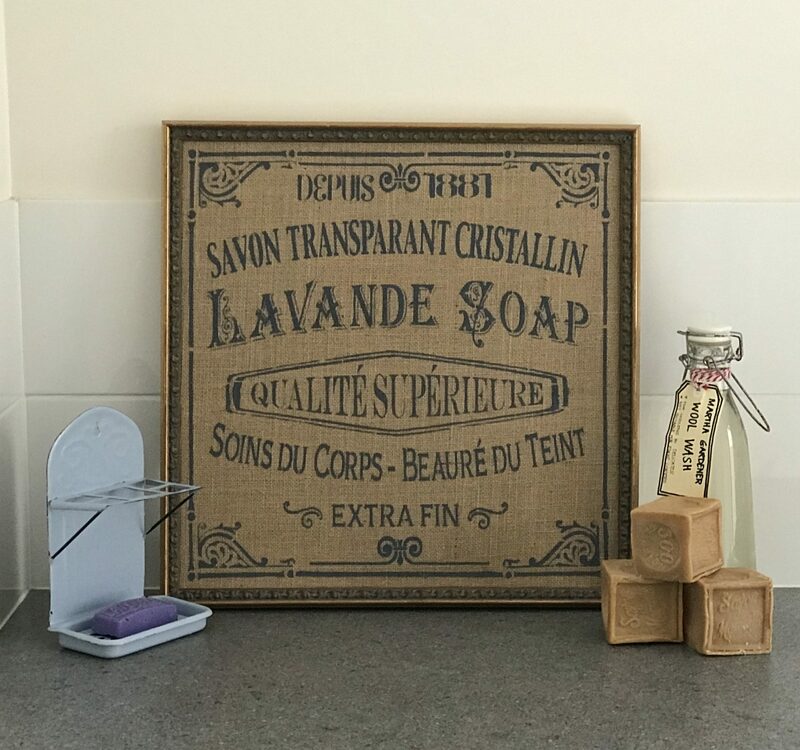 French and German grain sacks are so popular at the moment but so very expensive; especially with shipping from overseas! But for those of us that love the look but don’t want to shell out the big bucks there’s a much cheaper solution. Woohoo, you’ve made it to Part 5; today, we’re going to tackle covering Ugly Frankie’s legs – she’ll be a knockout in the blink of an eye. If you’ve just joined us and need to catch up with part 1, part 2, part 3 and part 4, follow the links and join us back here when you’re ready. So, Part 3 in the make over of Ugly Frankie saw us get her to the stage where the appliqué needs to be applied. If you need to go back to Part 1 or Part 2, go ahead and read what we’ve done so far. 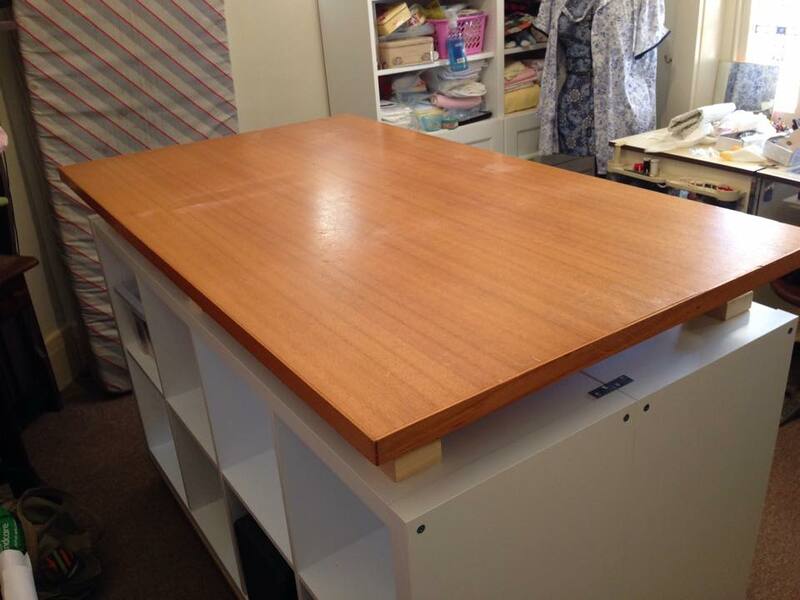 This is the part where we move into the sewing room. Are you ready? Okay then; let’s get cracking. 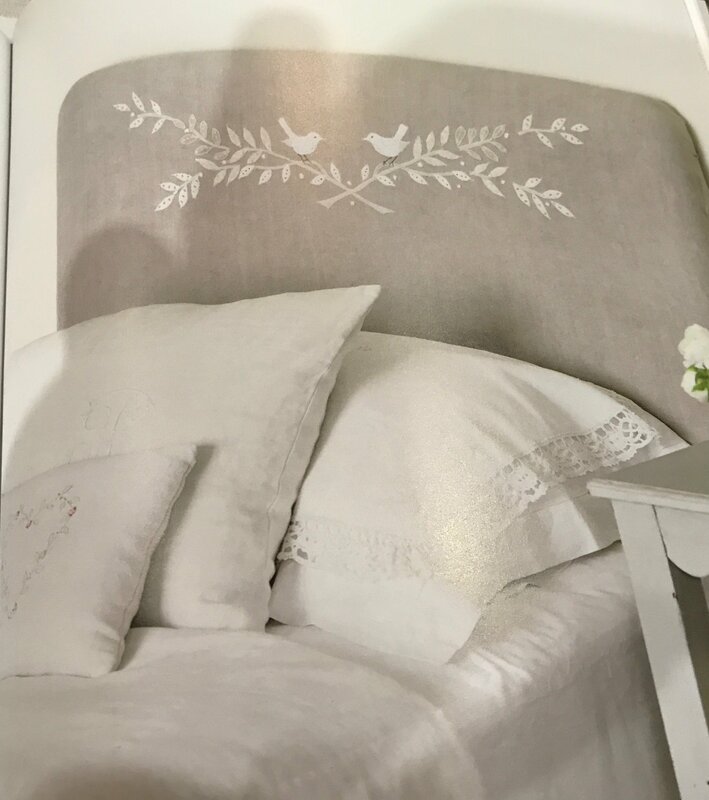 Welcome to Part 3 of Operation Ugly Frankie where I’m prettying her up from an ugly double pine bed to a beautiful upholstered bed. If you’ve happened to land on this page and want to check out the previous posts you can find Part 1 here and Part 2 here. 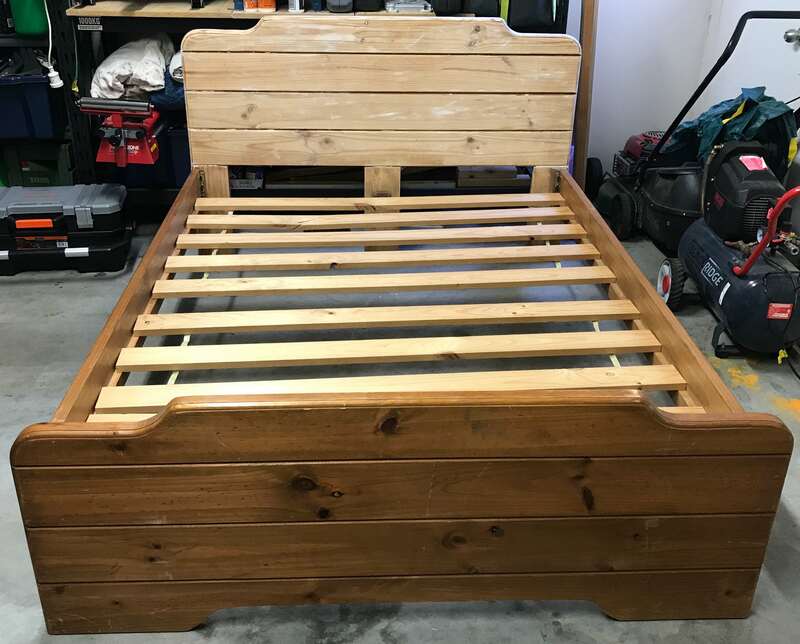 About six months ago, my youngest child, Ms24 bought this hideous double bed frame with a slat base for $50 from Gumtree which I have since named Frankenstein; I would have left Frankenstein with her previous owners if it were up to me, but alas it wasn’t! After we picked up Frankie, Ms24 asked me if I would tart her up a bit with a lick of paint; stupid me said yes – I mean helloooo; you can’t make a silk purse from a pig’s ear! If you look closely, Frankie has grooves between each horizontal plank of wood which I detest and i began to think of ways to get a finish that would hide the grooves. I thought of adding a panel of ply but i decided against it; the frame is already quite heavy and if I could get a nice finish without adding more weight then I would. Then I thought about adding wood filler to the grooves. So i spent a good week, layer by layer adding wood filler; alas, the filler kept breaking. So, Frankie was put aside until further inspiration hit…. For the longest of time, I’ve needed and dreamed of having a cutting table; I mean, what sewist doesn’t want a cutting table? So, I finally knuckled down and designed what I wanted based on IKEA cube storage units and a recycled desk top. If you’re looking to design and build your own cutting table, you might get some inspiration from my project.